George R. Talbott (Oct 1, 1925 – Jan 23, 2007 Orange, CA.George R. TalbottSocial Security Death Index, No. 567-26-9221, at FamilySearch.org) was an interdisciplinary scientists specializing in mathematics, physics and chemistry. 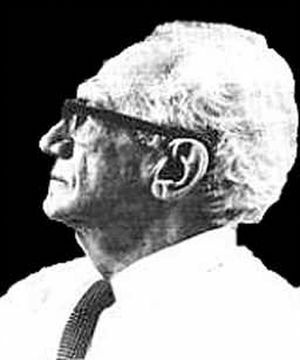 He also wrote about the criticisms and of Immanuel Velikovsky, of whom he said that “I was glad to have Velikovsky as a teacher”.George R. Talbott, “Revisiting The Temperature Of Venus”, The Velikovskian, Vol 1 No 3 (1993) George is not related to Talbott brothers, David and Stephen. Talbott received, with honors, the degree of Bachelor of Arts in philosophy (UCLA), Doctor of Science in physics (Indiana Northern University), and a professional license in Medical Laboratory Technology (RMT, State of California).Aeon Volume V, Number 4, “Contributors” His scientific status and experience include staff work at Scripps Hospital inLa Jolla and St. John’s Hospital in Santa Monica. He performed biochemical analysis and immunological studies for Dr. George Hartley (Ph.D., MD) and Dr. George Hummer (MD). For twenty-five years he served as the physicist reporting directly to the Chief Scientist of Rockwell International, Dr. William McDonald (MIT). In that capacity, he developed a physical chemistry laboratory and wrote an entire library of computer programs, some of which became famous in technology. His paper on gas chromatography and mass spectrometry was used both in the US and in foreign countries to facilitate analysis of microscopic gas flow. Other papers dealt with electromagnetic shielding, calculations in atomic physics, and thermal stress analysis. He is also the author of the two volume Philosophy & Unified Science, as well as Electronic Thermodynamics, Sir Arthur & Gravity and Fermat’s Last Theorem. A consultant in physics and applied mathematics, Dr. Talbott was commissioned by Bondline Products in Norwalk, California, for chemical and physical analysis of Newsom’s advanced oil recovery system, and has received both professional and academic awards throughout his distinguished career. “The new Cornell University Press publication, Scientists Confront Velikovsky, is truly a valuable documentary on professional debunking, prestige coteries and expert gamesmanship. I am pleased that this book was published; the egocentricity is amusing, and the book makes explicit what is usually done by gossip designed to demolish careers. In the future, when advances in physical science disclose the mechanism of gravity, it will be instructive to reexamine the confident arguments of the current celebrities. 76T-C14 Dr George Talbott, Pacific States University, 1516 So. Western Avenue, Los Angeles, California 90006. A classical derivation of fundamental quantities and of the key equations of modern atomic physics. Where b is the Bohr radius, e the unit electronic charge, m the electron mass, ωL = 2π fL, fL is the frequency of light emitted in a transition characterized by principal quantum number n1, n2, the above equation allows a new computation and direct measurement of the Bohr radius in terms of emitted light. A new deduction of Planck’s constant and of electron total energy are also given. Derivations appear in the author’s textbook, Electronic Thermodynamics, (Pacific States University Press, Los Angeles, California 1973), and in the new complete Philosophy and Unified Science.